Wonderware Industrial Computers are the perfect complement to hardware or software standardization efforts - whether it is a manufacturing operation, infrastructure operation, Value-Added Reseller (VAR) or Original Equipment Manufacturer (OEM) machine builder. These computers are ruggedized for harsh environments and come pre-installed with the operating system, drivers and Wonderware product software needed for fast and easy implementation. Wonderware Industrial Computers allow you to break free from proprietary hardware and functionally weak graphic interfaces. 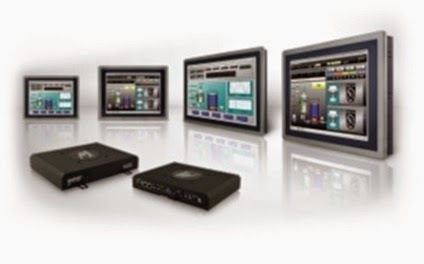 The new Series D, InTouch Panel PC Premium/Standard offers more screen sizes; screens and boxes will be interchangeable across both product lines - all solid state that enables standardization on one common powerful visualization interface for machine level applications and supervisory Human Machine Interface (HMI). Forward thinking standardization helps fully leverage engineering investments, shorten development cycles, bring more value to users or customers and lower overall costs. InTouch Panel PC are offered in additional more screen sizes (headless devices, 12’’, 15’’, 17’’, 19’’, 21.5’’, 24’’ and the screens and boxes will be interchangeable across both the Premium and Standard product lines, all solid state. The displays have been completely redesigned with a sleek, new look yet are compatible with legacy cutout patterns. The InTouch Panel PC Compact series are available in 7’’, 10’’, 12”, 15”. Complete bundled solution (Wonderware InTouch pre-installed and licensed), enables you to simplify ordering, get one source of support and eliminate Software/Hardware incompatibility concerns. The InTouch Panel PCs come preinstalled with best-of-breed Wonderware software, leveraging the advantage of being part of the Wonderware brand, the tight integration to the Wonderware portfolio and the Wonderware channel. 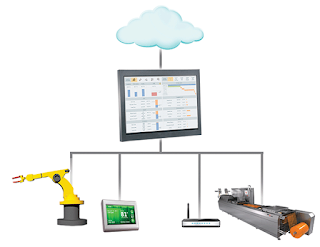 Complete solution from small footprint (InTouch Machine Edition) machine level HMI software to supervisory whole plant visualization solution InTouch and InTouch from system platform made into one simplified order. More information about this release will be posted on TEAM in February as we create new collateral for this exciting release. For questions, contact Lucian Fogoros.